Ben Kavanagh winner of Quercus Scholarship for Creative and Performing Arts. Ronan Moore winner of J.P. McManus Scholarship U.L. Ben Kavanagh won the Quercus Scholarship for Creativeand Performing Arts. – Excellence in Film and Photography.Ben is Studying – Film & Screen Media U.C.C. 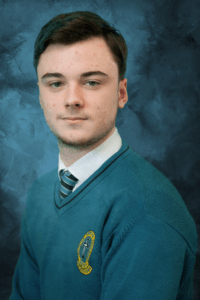 Ronan Moore won a J.P. McManus Scholarship U.L. Ronan achieved 589 points in his Leaving Certificate 2017 and is studying Aeronautical Engineering in University of Limerick. 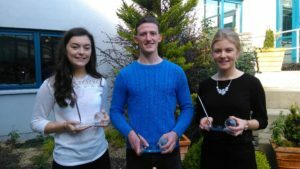 The Class of 2016 won 4 University Scholarships, based on their Leaving Certificate results. Ciara Holmes received a U.C.D. Entrance Scholarship in 2016. 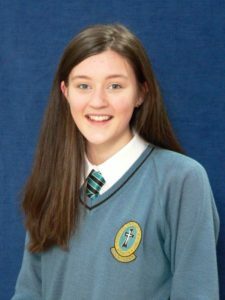 Ciara achieved 625 points in her Leaving Certificate and is studying Engineering U.C.D. 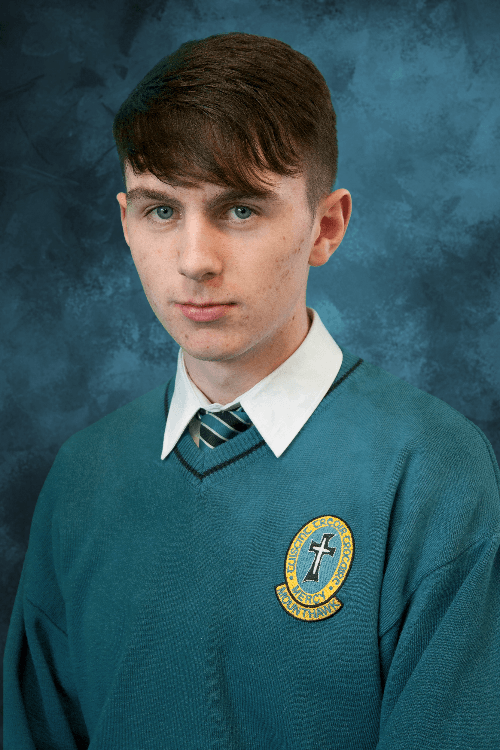 Donagh O Buachalla received a U.C.G Entrance Scholarship in 2016. 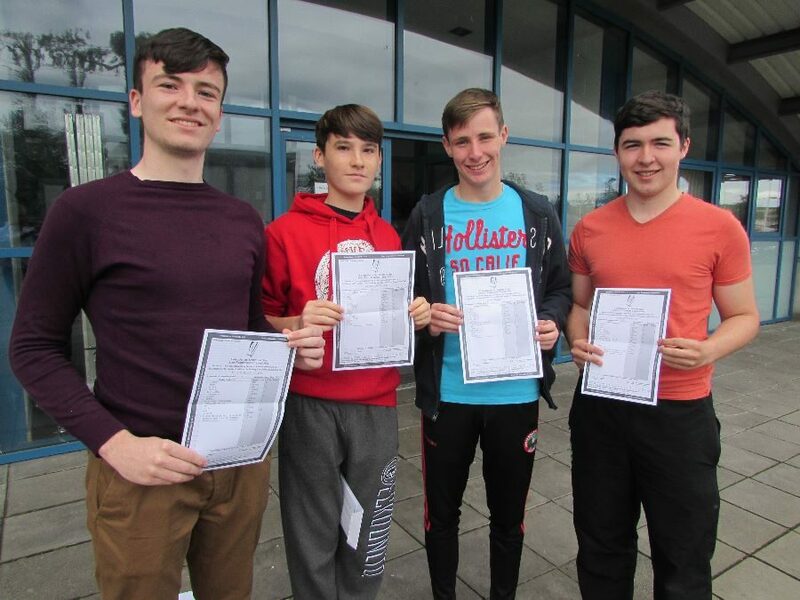 Donagh achieved 615 points in his Leaving Certificate and is Studying Engineering in U.C.G. David Oyewande received a J.P. McManus Scholarship in 2016. David achieved 575 points in his Leaving Certificate and is studying Pharmacy in UCC. Emma Leahy achieved 600 points in her Leaving Certificate and is studying Pharmacy in UCC. 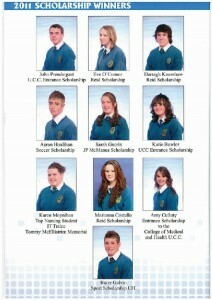 The Class of 2015 won 6 University Scholarships, based on their Leaving Certificate results. 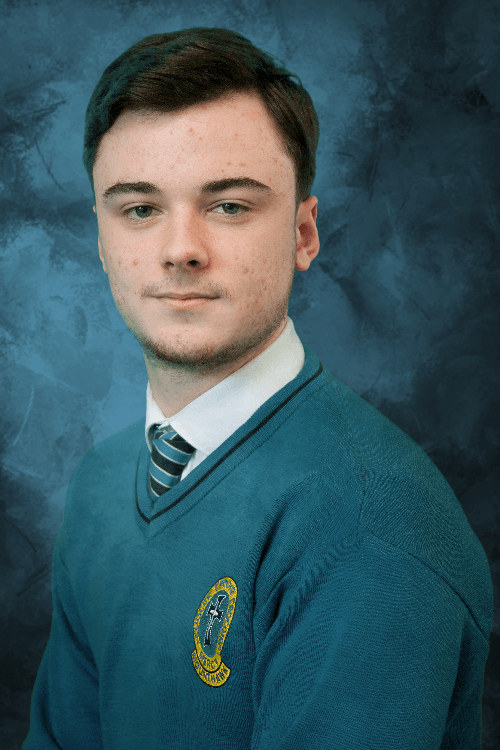 Sean Dowling studying at the University of Limerick, won a J.P.McManus Scholarship.Sean achieved 600 points in his Leaving Certificate as well as being a tremendously competitive footballer. He received special recognition for his involvement in Cycle Against Suicide last May. He is now studying Mathematics in UCC. Kevin Mc Carthy, studying at University College, Galway, was the Kerry winner of the Naughton Scholarship. Kevin also won an Entrance Scholarship at NUIG. Kevin achieved 590 points in his Leaving Certificate. He played the lead role in the school’s production of ‘The Sound of Music’. He is studying Engineering at NUIG. Gavin Connolly studying at the University of Limerick, won a J.P.McManus Scholarship. Sean Hurley, who is studying at U.C.D. won an Ad Astra Academy Scholarship. Padraig O’Connor, who is studying at U.C.D. won an Ad Astra Academy Scholarship. Murrough Connolly achieved 600 points and contributed greatly to the school’s music department, playing for school events over the years. He is studying Music at UCC. Diarmuid Moriarty achieved 600 points. He participated in many Maths and Science quizzes while in school. He is studying Medicine in U.C.C. Congratulations to them all. They have done our school proud and we wish them well in their studies.